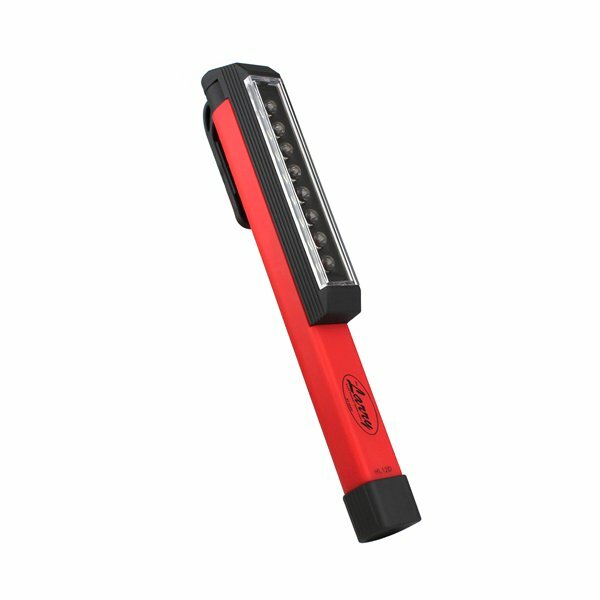 This is a super bright 8 light LED worklight with a magnetic clip on the side. BE CAREFUL NOT TO LOOK DIRECTLY AT IT WHEN TURNING IT ON - IT IS REALLY BRIGHT! Comes ready to go with batteries included. Nova has one in her car, barn, etc. They are great! And, the magnetic clip will allow you to stick it on your Featherweight's face plate (resting on the screw that holds on the face plate) as and extra sewing light and have an LED light for your Featherweight without attaching something permanently or having wires in your way!